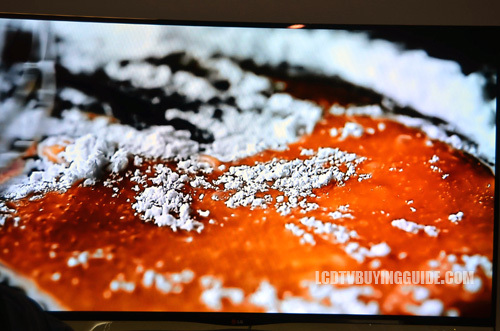 The 50PB6600 is the mid tier option in terms of LG plasma TVs this year. This one just leaves out the active 3D option found on the PB6900 above it. This one keeps things simple while still offering bare bones smart TV features. You get access to the major streaming content providers and not much else. That's fine with us for the nearly $700 price tag. It is common knowledge that plasma TVs are dim compared to LED TVs. Stores make sure of that by pushing LED TVs on display to super high bright levels. Don't let that deter you. LG's plasmas are typically less brilliant than Samsung's. For that reason they may not look great in the store. Colors and black levels really shine when in the correct viewing environment. This makes plasma TVs perfect for a home theater environment. A light controlled room brings out the excellent plasma quality. The 50PB6600 delivers some smooth contouring and though the upper limit of brightness is constrained it has a nice depth perception. Black levels are average on this TV for a plasma and better than most LCD TVs. All that being said, the LG 50PB6600 does not have as good brightness, light flow through and color saturation as 1080p Samsung and Panasonic plasmas. Side viewing angles in plasmas have absolutely no degradation of color or contrast. You might even say it is perfect. This quality is something LED/LCD TVs have been striving for for years. They are getting better, but plasma hasn't been beat yet. The PH6700 shows just as strong viewing angles. Instead of the flashy WebOS menu system seen on top tier LED TVs this year, LG has provided a very streamlined Smart TV experience with a focus on things users actually want to use. Streaming video. You get access to the premium video on demand services like Netflix, Hulu, Youtube, and many more. Since LG has cut so much from the Smart TV platform, performance is going to be better than what we have seen in the past. Buffering issues surely aren't completely gone, but a lot depends on the speed of the internet getting to the TV. If you are thinking a robust Smart TV platform will just gather virtual dust, this might be the right way to go. Plus it will save you a bit of cash. LG's have always performed well in our sound tests. The 2 channel 20 watt speaker system on the PB6600 really pushes out the volume. A mid sized room was easily filled at 50-75%. After volume, the quality of highs and lows is very important. Thanks to all the different sound modes and options we found that the speakers have great range. Our favorite choice is the Cinema setting with Clear Voice II setting enabled with the level set at 3. LG's 50PB6600 has a pretty standard design. 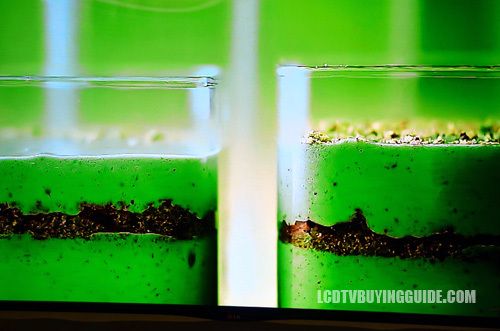 All of LG's 2014 plasma actually look the same. It's not as flashy as the Cinema Screen designs seen on top tier LED entries this year. It's got thin black bezels around the display that create an almost borderless look. At 2.2 inches in depth, it's not the thinnest around. That's typical for plasma TVs though. The stand is a black square that stits at the center of the display. You won't have to worry it the stand is too wide for your TV stand here. The 50PB6600 seems to be a little better value than the PB6900 above it. That is, if you aren't interested in a 3D TV. That is the only reason not to get this one. As far as picture quality for the price goes, this one is a solid winner. The LG 60LB6300 is a good comparison LED model. Dimensions without Stand (WxHxD): 46.1" x 27.6" x 2.2"
Dimensions with Stand: 46.1" x 29.8" x 12.4"